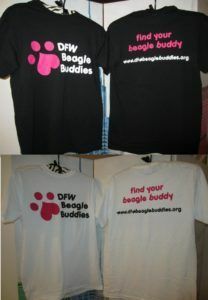 We now have a limited number of DFW Beagle Buddies logo necklaces! 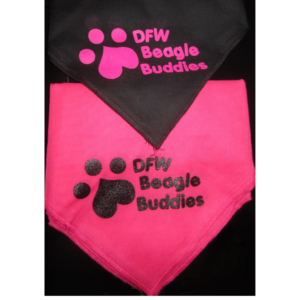 The 1/2 inch charm is made from sterling silver with a cutout DFW BB logo. The necklace is an 18″ sterling silver chain. 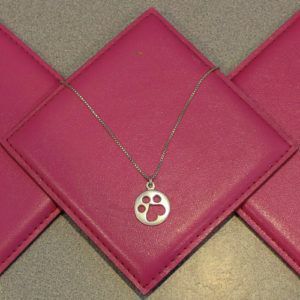 Durable and beautiful enough to wear every day, this necklace is great for any dog lover! This photo shows how large the charm is.